My elements are made from coat hanger material starting at 16" long and bent in half. The tips of each element are then 3" apart, so the V is 8" on a side and the ends of the V are 3" apart. 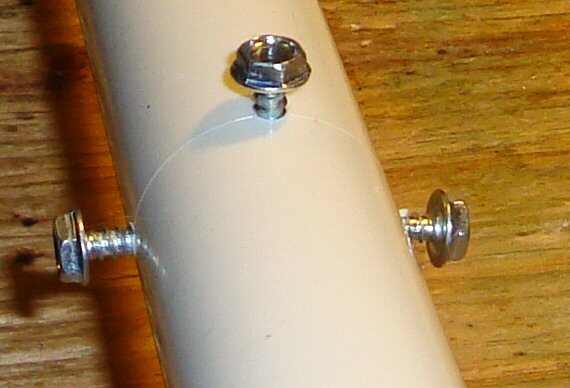 The length of the PVC pipe only needs to be long enough to allow for mounting the four sections plus length for how you wish to mount the antenna. 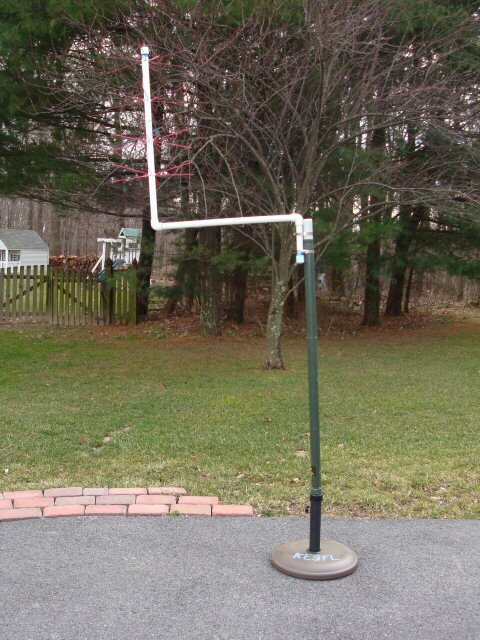 Perhaps consider a starting length of about 28" so there can be about 2" at the top and about 5" at the bottom. 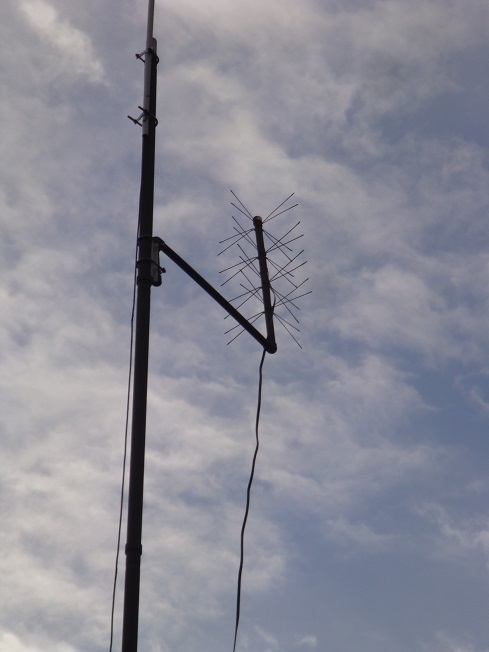 I used more for my antennas because of the way I wanted to mount them on the poles which also had my amateur radio antennas on them. alignment of the elements from top to bottom. The Finished Antenna sitting on the floor." bottom 3" section horizontally so it helps support the antenna while resting on the floor. hold the antenna to the antenna mast with two hose clamps. See photos below to see this. which were around 300 Ohm impedance going into new TVs with 75 Ohm inputs. station, Ch 66, from Manassas VA. 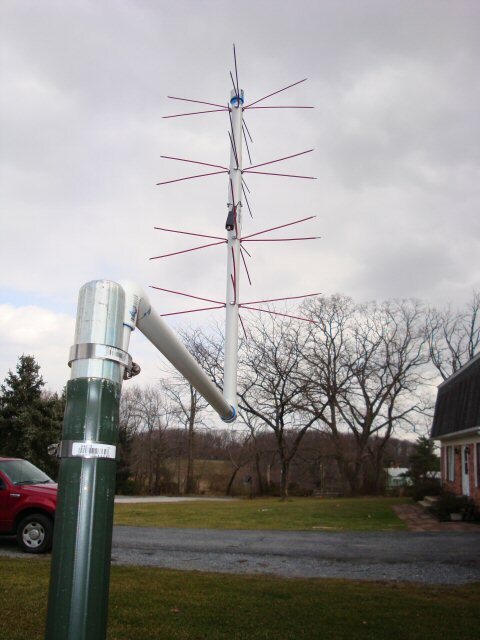 Mounted on an antenna mast sitting on the driveway. 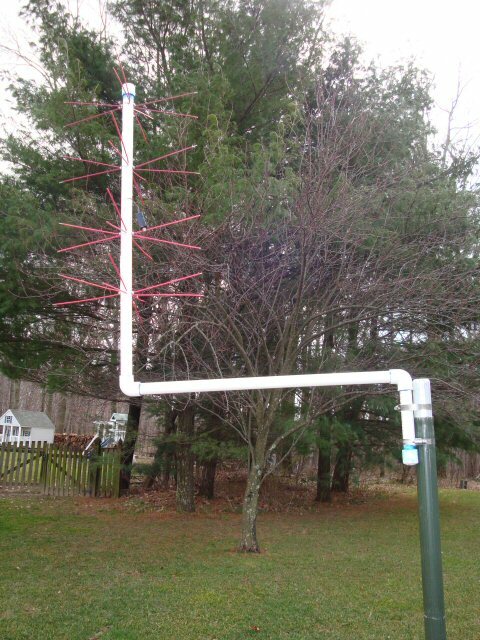 then to paint the antenna.